Expand search to view more listings in and around Oakland. 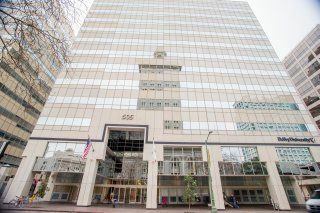 See more offices in and around Oakland. 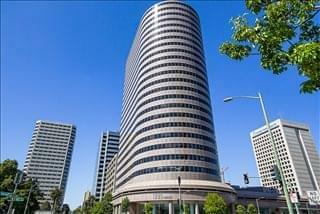 Here at Offices.net we have exceptional offices, situated in highly sought after Oakland, CA locations. Find an office available on flexible office rental terms with the option of an immediate move in date and all the business services you wish to choose. 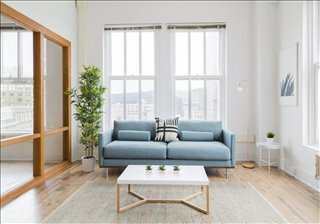 Offices.net offers companies of any size a simple, fast and easy way to rent office space in Oakland. Most of the office properties for lease that we list have services like manned receptions, fast Internet connectivity and telephone lines. This can help remove the usual time-consuming process involved in setting up an office, and let you focus on getting up and running. 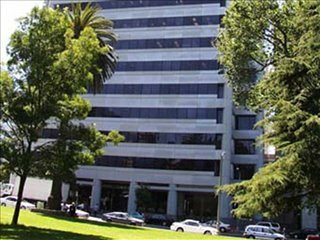 Oakland has a mid-size office market consisting of 13 million square feet in the CBD and a further 14 million in suburban areas. The CBD itself is divided into smaller sub-markets: city center, Jack London Square, and Lake Merritt / Uptown, whereas suburban Oakland, CA is made up of Alameda, Berkeley, Emeryville, Airport, and Richmond. Oakland City Center is the most extensive sub-market in the CBD, and Emeryville is the largest in the suburbs. Key trends include strong demand for specialized and quality accommodation in green buildings, and an increasing amount of LED-certified office space in Oakland. In particular, there is strong demand coming from tenants in biotech sector, who often require high-spec space and are able to pay premium prices. Most tenants indicate a preference for downtown offices, particularly in the city center and Lake Merritt, which are also the areas that command the highest prices (both above $50 / sq ft / year), whereas asking rates can be half of that figure in Airport and Alameda (2017 data). In the near future, trends to look out for will involve rising office rental rates, decreasing vacancy levels, and good prospects for new office property builds, as new developments are expected to take place in downtown, Berkeley, and Emeryville. A number of the office properties for lease provide manned reception, state-of-the-art print and scanning amenities, internet and network wiring, telecommunications set up, office administration, and furniture. 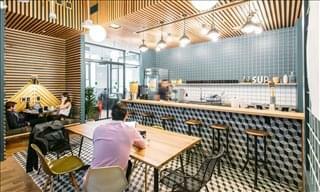 Most of the business centers also provide on site IT support, meeting rooms, business lounge facilities, air conditioning, 24/7 access, onsite parking and other professional services and amenities. Click on the office space listing of your choice to find out what is included. 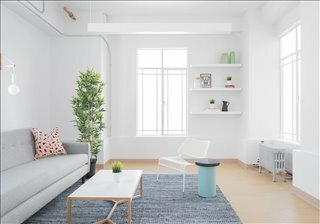 Choose one of the flexible or private offices for rent on this page. The Oakland office suites and office spaces for lease on our website are situated in convenient locations and are offered on flexible terms, giving you the chance to rent flexible office space for as long as you need. Oakland is a large city of approximately 420,000 people and is the biggest urban center in the Bay Area after San Francisco and San Jose. There are three major airports in the area including the Oakland International Airport, the San Jose International Airport and the San Francisco International Airport. The city is served by several Interstate highways and has an extensive rail and bus network and two underwater tunnels. The city has a prominent industrial past, since for decades Oakland's economy depended on shipping, shipbuilding, and logistics due to the presence of the port facility. Eventually, the local industry base became diversified and particularly so from the 1990s onwards. Key Industries: Although shipping and international trade are still important, so are other service-oriented sectors like tourism, wholesale and retail, healthcare, entertainment, finance, public transportation, and business services. The local renewables sector is also worth mentioning, since Oakland, California is considered a leader in the development and implementation of environment-friendly urban systems. Major Employers: The ten largest employers in Oakland, CA include Kaiser Permanente, Alameda County, the City of Oakland, the State of California, BART, Alameda Health System, Sutter Hospitals, Oakland Unified School District, UCSF Children's Hospital, and Southwest Airlines. 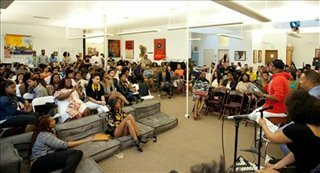 Labor Market & Employment: The local labor force amounts to approximately 200,000 people, and for the most part is highly skilled and well educated, since the city attracts top talent from nearby educational institutions like Berkeley, the California College of Arts, and California State University. Educational attainment rates are higher than the Californian average, and there is a steady supply of graduates in social sciences, business, and communications. Across Alameda County (and therefore in Oakland, CA too), the professions with most job openings are in the hospitality, Oakland retail, nursing, and management sectors, whereas the fastest-growing occupations include roles in web development, market research, software development, system analysis, food preparation, and construction. Business Support & Incentives: Oakland, California is an attractive location for business owners as it stands out in terms of innovation, diversity, access to markets, and potential for further development. The city is listed as one of the most supportive US cities for start-ups and especially for those involved in target industries. Some of the business incentives available include income tax credits for companies based in Enterprise Zones, zero-interest loans for business that create employment in low-income areas, and loans for firms that do not have access to traditional financing methods. 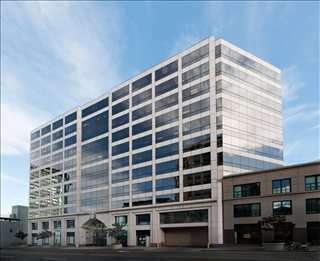 Offices.net can also help you find office spaces for lease in Class A business centers, executive office solutions, shared office space, hot desking, private office space, coworking spaces, Oakland retail spaces, industrial space and virtual office services in a number of other cities in California.